Life at UNLV extends far beyond the classroom: It’s the friendships you make, the bustling campus that surrounds you, and the adventures waiting to happen. Stop — and listen…Hear that? 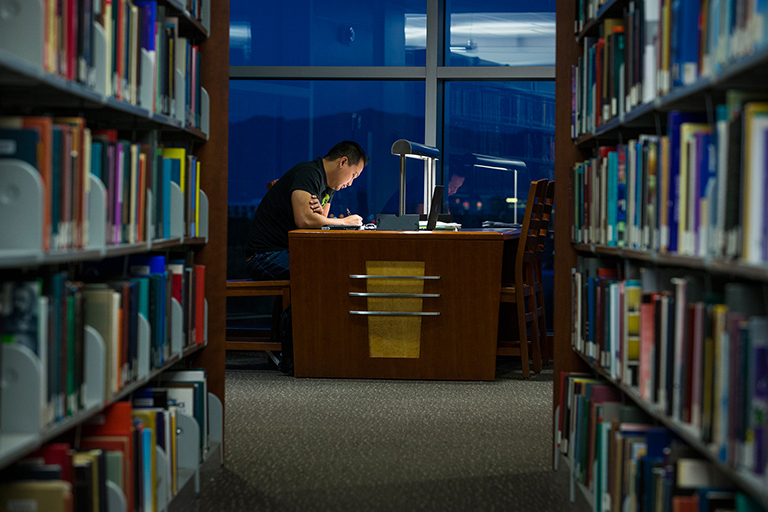 It’s your life at UNLV…waiting to unfold. Wanna be a Jedi? How about the voice of your classmates? Be whatever you want to be here at UNLV. Get involved, share your interests, and enrich your college experience. We bring arts and entertainment to you. From world-class artists to notable speakers, we host a wide variety of cultural, educational, and academic activities that are open to the entire Southern Nevada community. "The open arms UNLV had for me showed me that UNLV should be my home... Once I stepped foot on campus, I saw this amazing atmosphere. The accepting vibe I felt from the school allowed me to express my individuality and find others who were like me. I have fallen in love with UNLV and the amazing opportunities."